You didn't see that coming. You didn't expect it. You're still in shock! 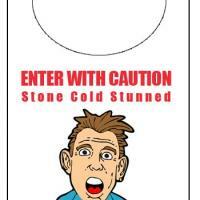 Print and hang this on your door to warn them ahead that you still might experience a emotional blows.